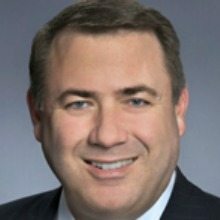 Brian Clark, president, NCI, Inc.
NCI, Inc., a provider of information technology and professional services and solutions to U.S. federal government agencies, announced Monday that it was awarded a $9 million contract. The contract supports the Program Executive Office Enterprise Information Systems’ (PEO EIS) Project Director Reserve Component Automation Systems (RCAS). The mission of the RCAS includes sustainment of automated information systems that enhance the Army Reserve Component’s ability to achieve and sustain critical automation interoperability. The contract will also help to accomplish the directorate’s goals of providing citizen soldiers with information technology solutions that support unit mobilization planning, training, day-to-day operations, communications and administration through the use of RCAS. This contract award represents new work for NCI and consists of a three-month base period and two additional one-year option periods through 2016. NCI, based in Reston, will provide advisory assistance in the areas of programmatic product engineering, quality assurance and network and desktop support to facilitate the modernization and enhancement of RCAS. Additionally, NCI will support the Army Reserve Component’s continued efforts to employ modern development and deployment techniques and evaluate current products and processes for alignment with future RCAS Agile Development efforts. Previous ArticleMichael Polmar Joins The SI Organization, Inc.
Next Article Acentia Acquires Business Computer Applications, Inc.